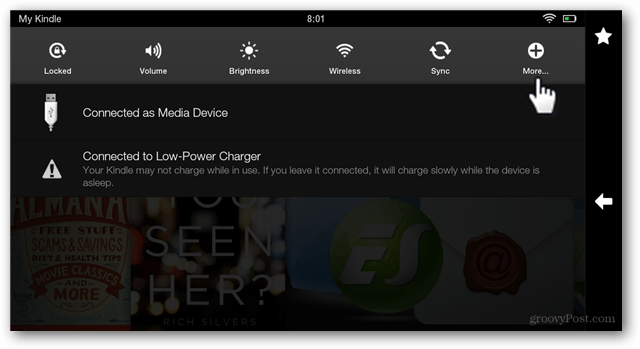 The Kindle Fire HD has Bluetooth enabled, but it isn’t visible, and you need to make other devices able to see it. Here’s how to make other devices see it. When pairing Bluetooth devices, you need to make sure they see each other. 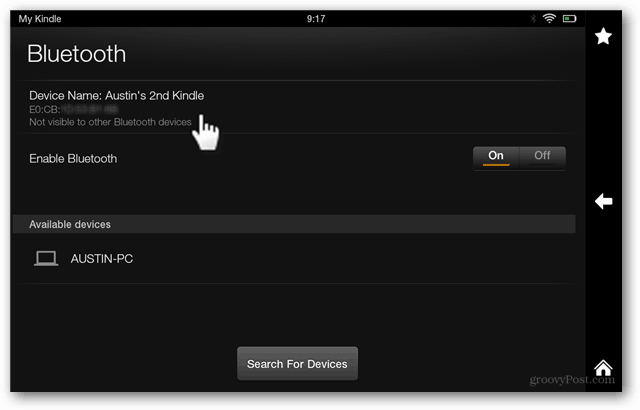 By default, the Kindle Fire HD has Bluetooth enabled, but it’s hidden and not broadcasting that it’s available. If you are having difficulty pairing a keyboard, headset, computer, or another tablet with your Fire, follow these steps to make it visible. Note: This article was originally written when the first generation Kindle Fire tablets were released. 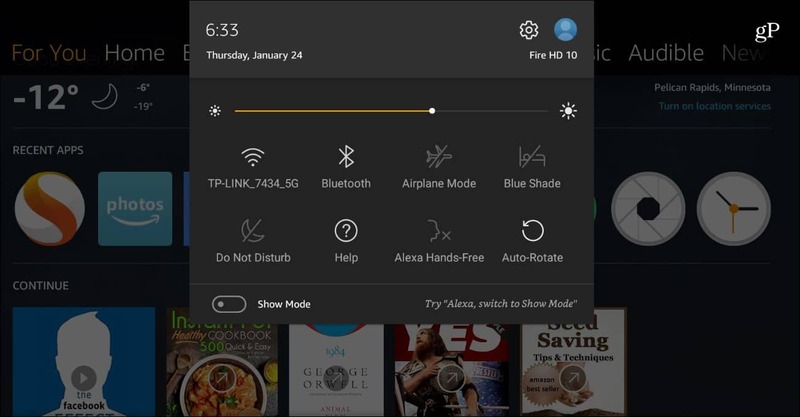 Now, enabling Bluetooth on your Fire HD tablet and connecting to other devices is easier than ever. Simply swipe down and tap the Bluetooth icon from the menu. When Bluetooth is on, your tablet is discoverable. 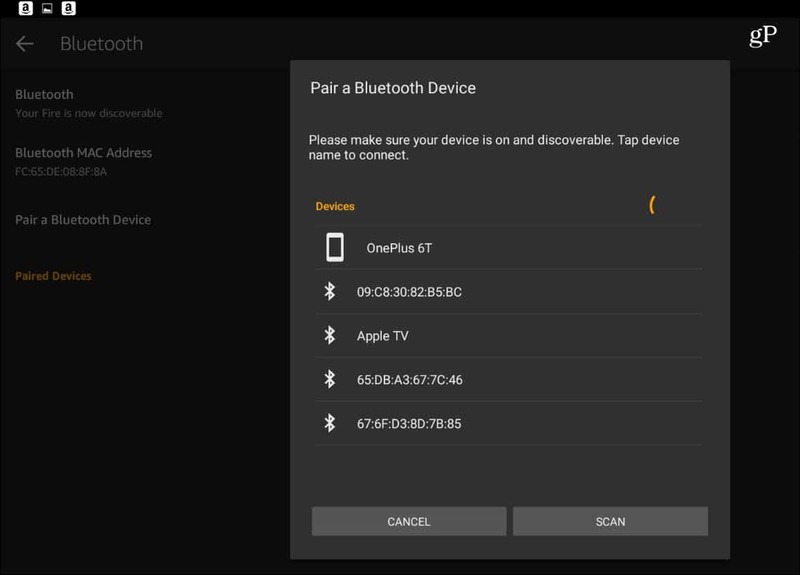 To connect to other devices, make sure the device you want to connect to is discoverable and then head to Settings > Wireless & Bluetooth > Pair Bluetooth Device. Your Fire tablets will scan for the device and you can choose the one you want to connect to from the list. Swipe down from the top of the screen to open the notification bar and tap More. Select Wireless from the settings screen. On the Wireless page tap Bluetooth. Here is where the “make visible” button isn’t very obvious. 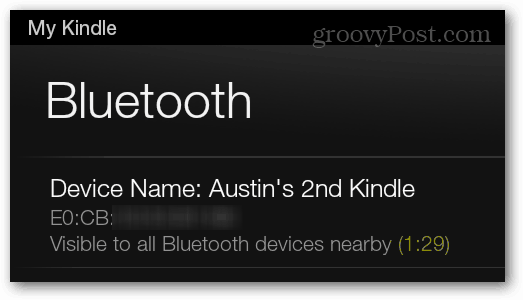 On the Bluetooth screen, tap the device’s Name. This should set the Kindle Fire to be visible for two minutes so you can pair your devices. If you can’t get it set up quick enough, just click it again to give yourself another two minutes. This -bluetooth- option does not appear on my wireless option at all. Can I pair with my k endless or not?????? This does not help with Bluetooth head sets. Kindel does not support bummer! Seems to be true with my headset as well. I wonder why headsets were excluded. Thank you! Don’t know why they have to make it so damn difficult to find controls for things you’re likely to use. My Kindle doesn’t see my Sony SRx33 bluetooth speaker. I was told Kindle doesn’t use the same Bluetooth protocall but there is an app I can download to help Kindle work with Sony. Anybody know about that app? The Kindle sees the Bluetooth and the iPhone and I have been using both forever. It just suddenly now says they are both “not compatible”. 20 minutes ago, and it was my first tablet EVER. Your instructions were clear and concise, and I was able to connect my Bluetooth headphones on the 2nd try. Bravo! Unable to pair my Kindle Fire with my Beltone Hearing Aids. Can someone help. First, THANK YOU SO MUCH for making it EASIER to understand the instructions by showing the screens and arrow. God, this makes more sense!! Keep up the great work! I’m going to come back again and again if I need help! I bought a kindle 10 and I can’t connect to a Wi-Fi, for example, a restaurant or a motel. Can anyone help?